Our approach towards Management Consulting is extremely different than what most of the companies out there offer. Most of the companies offer daily rates consulting but our founder Luis Gonçalves do not believe in that approach for Management Consulting. Luis started his career almost 15 years ago, he believed that many organisational changes could be initiated with a bottom-up approach. He still believes that many changes come from the lower layers of the organisation, but a deep involvement of executive teams is also required for last-lasting changes. He spent years understanding the greatest challenges that executive leaders in digital product companies face, so he designed a complete approach to tackle these issues based on his long and practical experience. He is very proud of what he has created and he believes in its results, as we use the exact same approach to run our own company, therefore this is our approach to help you and your company in regards to Agile Consulting. 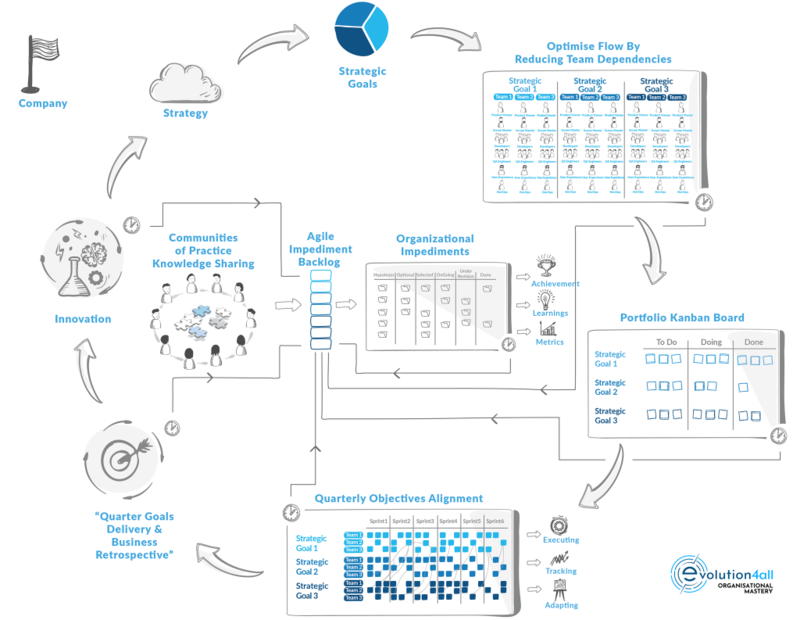 The Organisational Mastery Blueprint product is designed in a complete lean way. This product is also optimised for companies that require consistent alignment between their executive leadership and delivery teams, particularly companies that wish to build a coalition that drives change, without disrupting the entire organisation. The Organisational Mastery Blueprint is ideal for companies that are serious about improving and they want to make an impact in the world.